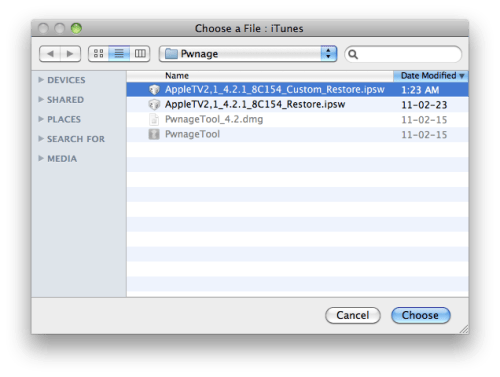 These are instructions on how to jailbreak your Apple TV 2G on iOS 4.2.1 using PwnageTool for Mac. Make a folder called "Pwnage" on the desktop. In it, you will need a couple of things. PwnageTool 4.2, found here or here. 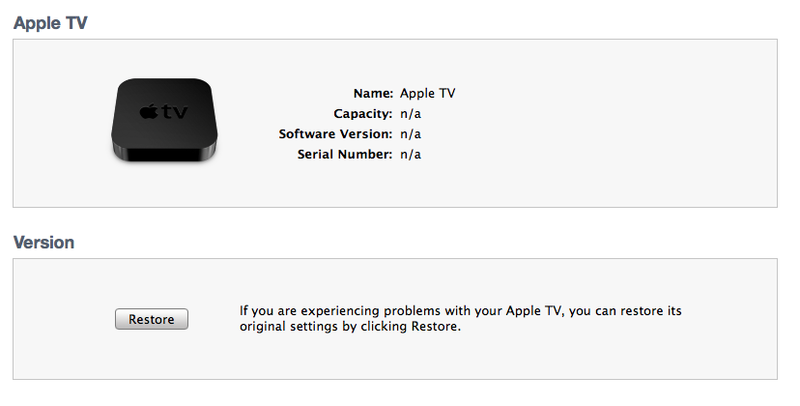 You will also need the 4.2.1 Apple TV firmware. Then from the Pwnage folder double click to launch the PwnageTool application. Click Ok if presented with a warning. Click to select your Apple TV. A check-mark will appear over the image of the device. Click the blue arrow button to continue. You will be brought to the "Browse for IPSW" page. Click the Browse for IPSW... button. From the popup window select your firmware from the Pwnage folder then click the Open button. You will then be brought to a menu with several choices. Click to select General then click the blue arrow button. The General settings allows you to decide the partition size. The Cydia settings menu allows you to create custom packages so you do not have to manually install the necessary them later. Most of these packages are not ready for the AppleTV yet so we will click the blue arrow to continue. The Custom Packages Settings menu displays listed package settings for your custom IPSW. For know leave these settings as is. Click the blue arrow button to continue. You are now ready to begin the pwnage process! Click the Build button to select it then click theBlue arrow button to begin. You will be asked to save your custom .ipsw file. Save it to your Pwnage folder you created on your Desktop. Your IPSW is now being built. Please allow up to 10 minutes. You will be asked to enter your administrator password. Do this then click the OK button. Once your ipsw has been built you will be asked to connect your Apple TV to the computer. 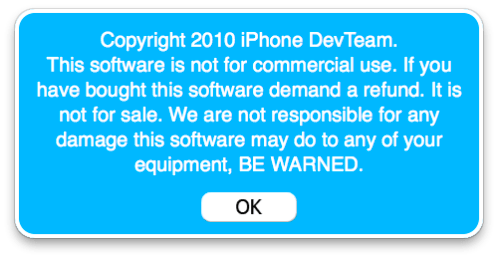 Once it detects your device PwnageTool will guide your through the steps to putting your Apple TV intoDFU mode. For PwnageTool's steps you should not be plugged into the power outlet. You will be asked to press and hold the Menu and Play buttons for 7 seconds. 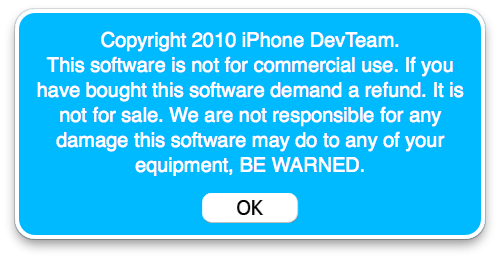 Once your Apple TV is successfully in DFU mode, PwnageTool will prompt you to launch iTunes. Once In iTunes, hold the Alt/Option key and click Restore. 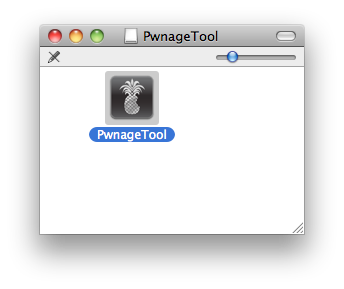 Navigate to the Pwnage folder on your desktop using the dialog window that appears. 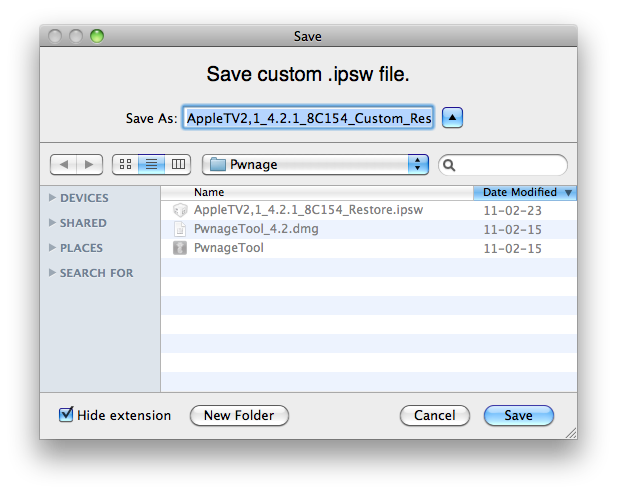 Select the custom IPSW that was created and click the Choose button. iTunes will now restore the firmware on your Apple TV. This can also take up to 10 minutes. Once done you will be rebooted into jailbroken iOS 4.2.1! Currently, there is no Cydia application for your Apple TV so you will need to manually SSH into the device. You can find your IP address under Settings:General:Network. The username is root and the password is alpine. If you are experiencing error 1600, or similar when restoring the custom ipsw in iTunes then try these suggestions. ***THANKS: Thank you to Geohot and the Dev-Teams for their hard work in making this jailbreak and tutorial possible! A specific thanks to MuscleNerd for helping us solve some initial problems with performing the jailbreak.